Just fill out this form and your lights by TENA sample pack will be on its way. 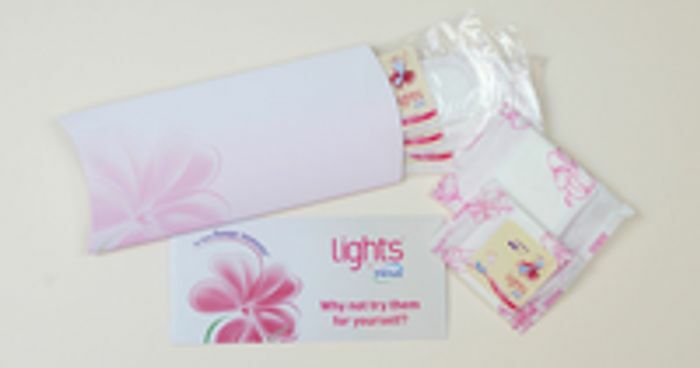 Our sample pack contains all five products in the lights by TENA range so you can find the right product for you. They are all specially designed for little leaks but they do differ in size and profile. This one's pretty good. It gives you the option of ordering a free sample or to buy packs. Your also able to get products for both genders witch is amazing in itself. I received mine today it works.